What makes today’s #WhatsCookinWednesday Raspberry Coconut Bark Fat Bombs so exciting? They are healthy and delicious! This week we decided to go with a healthy snack and instead of our usual fare. Everyone knows that I love fat bombs and this one combines a few of my favorite things together in one tasty recipe. I use the Kirkland brand of Organic Virgin Coconut Oil because it retains the coconut flavor which gives this recipe an extra kick! So, here you go… one of the quickest and easiest recipes we will likely ever have on here! This makes a total of 12 servings. Each serving comes out to be 234 Calories, 23.56g Fats, 2.45g Net Carbs, and 1.72g Protein. In a medium saucepan over medium heat, combine coconut butter, coconut oil, shredded coconut, and sweetener. Stir frequently until all ingredients are well combined and melted. Pour about half of the mixture into the prepared baking pan. Add the raspberry powder to the remaining mixture in the pan and stir until well combined. Dollop the raspberry mixture atop the coconut mixture into the pan and swirl with a knife. Freeze or refrigerate until set and then break into chunks. My name is Len Benoit and I’m the owner/trainer at Fit 1 in Toronto/Etobicoke. 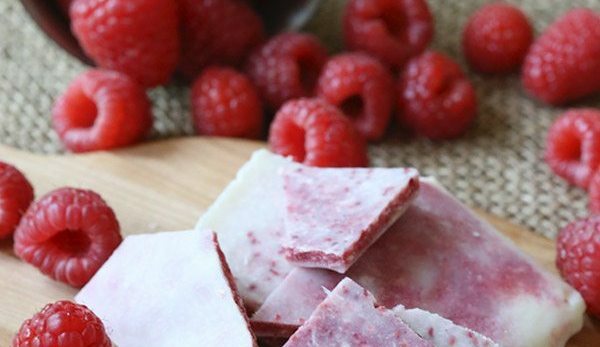 I didn’t invent this delicious #WhatscookinWednesday Raspberry Coconut Bark Fat Bombs Recipe, I spied it on alldayidreamaboutfood.com, but I will enjoy it right along with the rest of you. If you are looking for gyms in Etobicoke or Toronto and want more information about my Women’s and Co-Ed Bootcamp, Youth Sportfit Program, or Personal Training classes, give me a call at 647-776-7776 or visit the website at www.fit1bootcamp.com. Come in for a FREE 7-Day Trial membership if you are friends with one of our members, if not, head on over to the website to learn more about our 28 Day Quick Start Challenge and find out why FIT is right for you!